I am back in Panama after spending 3 weeks playing nurse for my dad. I want to first thank all of you who wished my father a quick return to good health. I am positive all the warm wishes aided in his return to health and also return back to his own home in Boston. It is amazing to see how sick he was and how his body was able to heal and how far he has come. My family gave me the nickname Nurse Ratchett, who was the nurse in the movie "One Flew Over the Cuckoos Nest". When I arrived to California, my brother Mark and I drove to the rehab center to bring my dad home to my brothers home. I had a 2 hour crash course on how to do more medical stuff than I ever thought possible. Two days later my brother left for the week on a business trip. I was left to take care of my very sick dad. When he was released from the rehab center, he was on oxygen, insulin dependent, in a wheel chair, 15 different medicines, had bedsores and was still very sick. Every day he made incredible strides toward health. When I left him on April 6th, he was using a cane (when he remembered), no insulin, oxygen, and took 12 medicines a day and was in awesome health. My goal was to get him health so he could return back home in Boston. He is going home on the 10th with my brother Dan. I hope my dad continues to thrive when he returns back to his own home and does not have Nurse Ratchett telling him what to do. 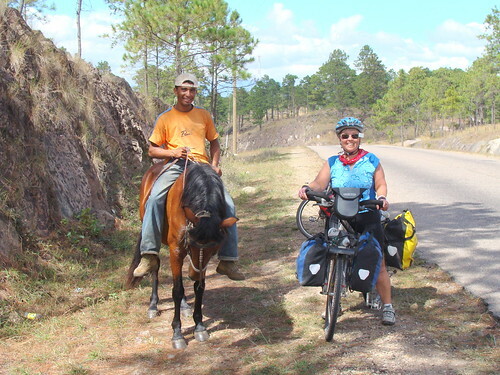 I wrote this in response to a letter of consternation from one of the few other women (and one of the very few other "mature" couples) riding a route like ours in Latin America. It seemed worth while sharing with you, my management technics on how I managed riding the roads of Latin America. First of all, I do think you have great amount of courage and smarts and capabilities. I admire you on many accounts. 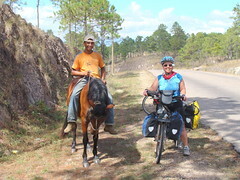 Anyone that has ridden Copper Canyon the way you you did has my admiration. If I knew you better, I might be more comfortable telling you that you have balls. 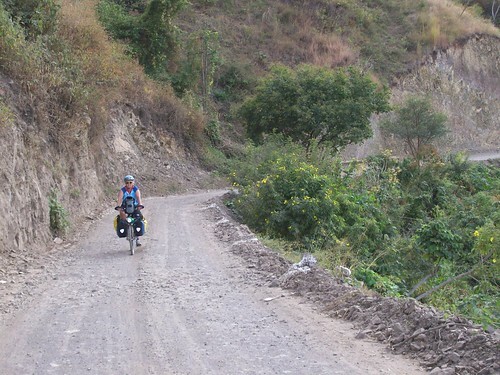 In retrospect, after riding through Mexico, Guatemala, Honduras, Nicaragua, and Panama, my thoughts about riding in Mexico are that it is a difficult country to ride in, especially as you get closer to the cities. The bigger the city, the more aggressive the drivers, and less room for mistakes. On the struggle out of the valley of San Marcos, a truck stopped and offered us a lift. It was driven by an Italian Catholic priest in traditional robes and two sisters with similar brown habits. They smiled so nicely as they told me about their lovely town of San Rafael and their special church. 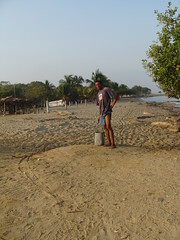 They encouraged me to visit San Rafael which I did the next day. I took a bus out to San Rafael and did agree that is was a wonderful village. I got a private tour of Tepeac by the groundskeeper who had great love for this special place. According to an article published in the Nica News 21 (March 1999) “The most outstanding figure in the history of San Rafael is the Italian priest, Father Odorico D'Andrea. From his arrival in 1953 to his death in 1996, Father Odorico achieved virtual sainthood among the people of San Rafael and the surrounding communities. His image, a smiling, warm, obviously kind man in plain brown robes, can be seen in nearly every home, business and vehicle in the town. "It's so sad," said one community member, "that you weren't here to know him." Among his achievements are a formidable health clinic, a library, several neighborhoods for the poor, and the beautifying of the church. Let me take a moment and tell you about one of the villages we rode through on the way from Estelí to Jinotega, Nicaragua this week. San Marcos is a strange little village where everything has been built around a lone church. The houses in the village form a huge empty dirt circular void around the church with nothing in between. It reminded me of an old ghost town but there was people in front of every house, just sitting and watching the strange gringos ride through their village. 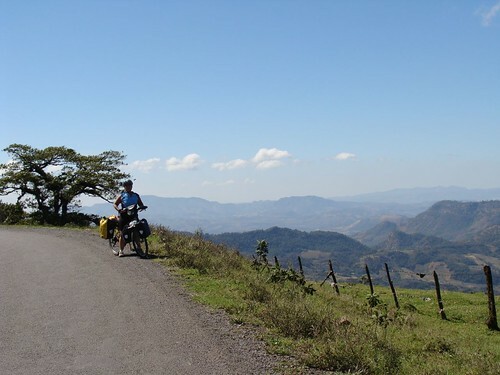 We woke up rather late on Wednesday morning (6:00am) and decided we did have enough energy to take on the 40 mile tough ride from Estelí to Jinotega, all on dirt. We saw maybe 10 to 20 vehicles on the remote Nicaragua back road which were mostly buses serving the local communities, The landscape was mostly dry desert and rolling hills; other areas along the way were highly productive river valleys were tobacco, onions, cabbage, potatoes where being harvested. We stopped at a small tienda in the middle of the trip to purchase a cold drink. There we meet many local residents including Sarah, a Peace Corps volunteer, who lives in a rented brick house across from the store. We knocked on her door to say hello and a small petite dark haired, young 20ish female came out and greeted us. She was the famous local gringa. 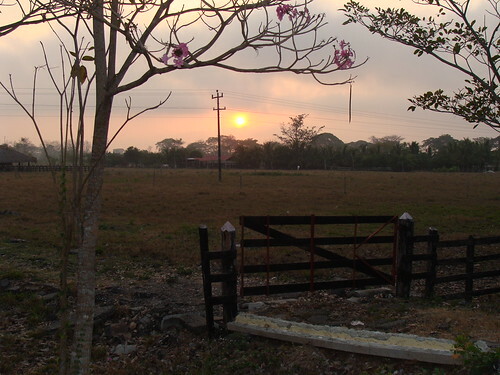 We spent sometime with Sarita learning about her life in the middle of rural Nicaragua as a Peace Corp volunteer. 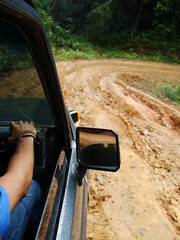 What a delightful surprise Nicaragua has been to ride in. 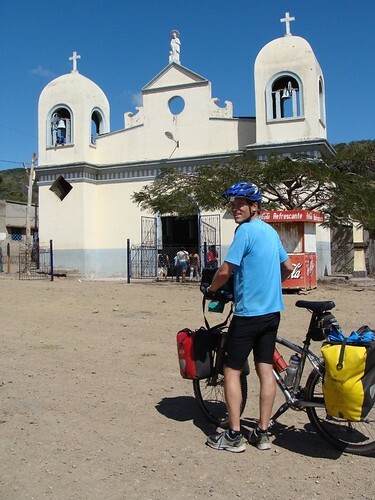 From the moment we crossed the border from Honduras into Nicaragua, biking through a country which is the poorest in Central America has been a great experience. Yes we see some very sad sights, houses made of mostly discarded scraps of plastic, lumber, tin and natural products, children without shoes, communities with no electricity, shared wells and old people begging for money. But mostly we find a land with a many different aspects. 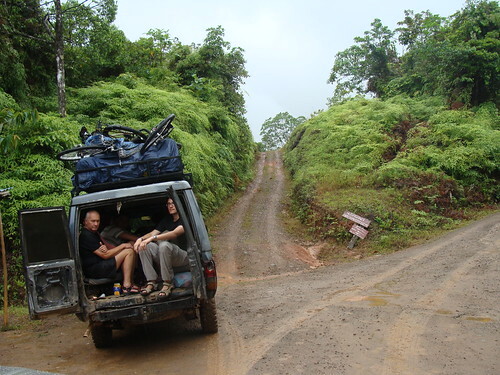 We ride up through dry mountain regions on remote dirt roads and everyone tells us we will have no troubles, that we´ll have no security problems because we are outside the urban areas. 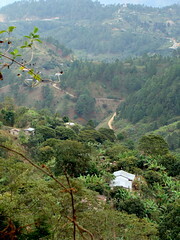 What we have found is whole communities come out to see the Gringos on bikes riding through their neighborhood, children yelling out hello, good afternoon or by practicing the few words of English they know. Many children near the border would ask for money, the only word they knew. Randy gave a few of the children in Honduras a lecture about asking for money and how it was impolite not to say hello as a friend, but none of the children in Nicaragua have been like that. We learn a lot as we ride through the different parts of Central America.